To “soldier on” means to continue to do something, even though you may not succeed and the task is difficult or tedious. It is usually seen as a positive quality, akin to bravery and not to be confused with to “solder on.” That’s joining metal together. Admittedly this too can be challenging. However, “soldiering on” when you have a potentially serious and distressing illness can be counterproductive and even dangerous for the individual. A large proportion of military personnel who experience mental health problems do not seek help. Approximately 40-60% of the military population who could benefit from treatment for mental health problems don’t access help. Several barriers to help-seeking in military populations have been identified, including stigma, inability to access help and lack of recognition of the need for treatment. 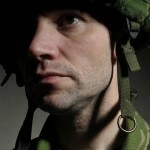 Previous studies from the UK have suggested that stigma is an important barrier to help-seeking in military personnel. 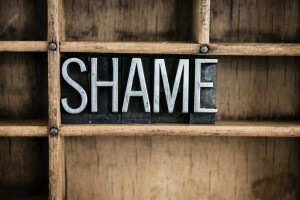 Public stigma can be described in terms of stereotypes and discrimination. Individual elements include anticipated and self-stigma. Stigma regarding people with mental health problems are potentially much more damaging than these examples of correct Piers Morgan-liking stigma, resulting in limitations to employment, social isolation and a reluctance to seek medical help. 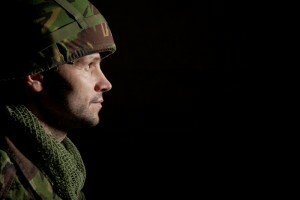 In terms of military populations, research has shown that while in general, attitudes towards mental illness are comparable to those of the general population, those in the military may hold more positive attitudes about the causes of mental illness, but more negative attitudes about the job rights of people with mental illness. What types of stigma have been explored in military studies? 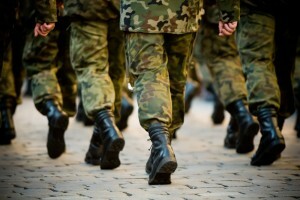 What is the prevalence of stigma in military populations of those with mental health problems? Is there an association between stigma and help-seeking intentions/mental health service use among those with mental health problems? A large proportion of military personnel who experience mental health problems do not seek help. 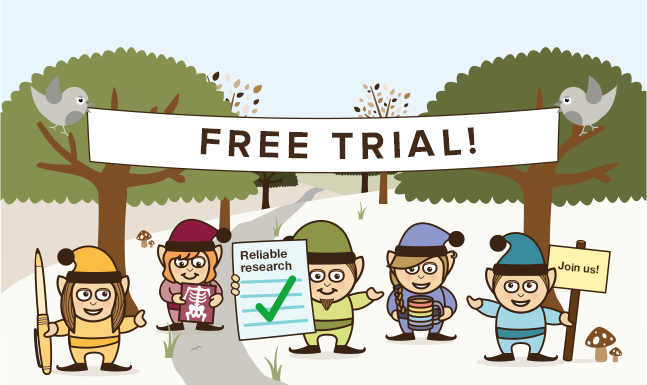 Relevant studies published in peer-reviewed journals since 2001 were identified through electronic searches in the usual suspect databases e.g. MEDLINE, PsycINFO, Scopus. Studies were not included in the review if they featured a non-military population, did not measure stigma, didn’t stratify the sample by mental health status or control for mental health status, and didn’t report prevalence of stigma or association of stigma with help seeking i.e. if they didn’t do the things the reviewers were interested in. Military personnel were most concerned about being treated differently by their leaders. The majority of studies found no association between anticipated stigma and mental health service use or intentions to seek help. This would seem to contradict the majority of evidence from studies across the civilian population where stigma typically negatively affects help-seeking behaviour. It seems counterintuitive that stigma is present, but isn’t a barrier to help-seeking. It would seem that in this case common sense is not so common. But that’s what science is for. The authors’ argued that that there is an “intention gap” between the intention to seek help (or not) and the actual action taken. That is to say, people don’t do what they say they’re going to do. This is not a shock to people who’ve met people. In this case the promoters of help-seeking are more powerful than the barriers to asking for care. 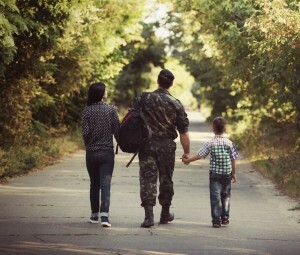 For example, one of the most influential factors found in a United States military sample for overcoming barriers to seeking care was having family and friends who strongly encourage soldiers to get help. Military personnel may literally be getting by with a lot of help from their friends. And family. Friends and family may help military personnel with mental health problems overcome stigma and seek help. Anticipated stigma was the most commonly assessed form of stigma across the studies. However, it was noted that there have been recent questions as to whether the scale used measures anticipated stigma effectively. This may explain the lack of association found between stigma and help-seeking intentions or service use i.e. anticipated stigma might not even have been measured. Or it could be that for some reason stigma simply isn’t associated one way or another with help-seeking intentions or service use in military populations. The authors concluded that while anticipated stigma prevalence is high in military populations with mental health problems, the majority of studies found that anticipated stigma was not associated with help-seeking intentions or use of mental health services. They also proposed that these findings were a result of an intention-behaviour gap where individuals who didn’t think they should seek help are compelled to do so when reaching a crisis point or by supportive family and friends. Anticipated stigma was not associated with help-seeking intentions or use of mental health services. In civilian populations, self-stigma has been shown to be a considerable deterrent for people seeking mental health care. It has also been linked to negative attitudes toward mental health services and to reduced intentions to seek different forms of mental health treatment. Only one study here examined self-stigma, with the rest looking at anticipated stigma. It must be noted however that this (and many of the other limitations) isn’t a problem with the review, but rather a limitation of the literature that it had to examine. As the saying goes “research with limitations in, research with limitations out.” Some people might say that’s garbage. Three of the papers that found no association between stigma and use of mental health services used population samples that were receiving treatment. It’s not a tremendous shock that in a sample of people who asked for help that people stated that they would ask for help. The authors’ noted that there were very few studies that measured the effect of stigma on actual help-seeking behaviour with the majority looking at the impact on the intention to seek help. We already know that people don’t necessarily do what they say they will do (let’s call it “the politician effect”), so from these results, it is not possible to say whether such intentions will translate into the corresponding behaviours. It would have been useful to know if mental health services were actually available to the military personnel. The absence of appropriate services would certainly be a significant barrier to accessing services; it’s reasonably difficult to attend non-existent mental health services regardless of what you think people will think if you try. Very few studies measured the impact of stigma on actual help-seeking behaviour. In a related point, there doesn’t seem to be any assessment of confidence that people in the military have regarding mental health services. Previous studies from both the UK and the US have suggested that lack of confidence in mental health providers is a leading barrier to help-seeking in military populations although others have reported that only 3.6% endorsed the idea that ‘mental health care doesn’t work’. If stigma isn’t having an effect on help-seeking, then maybe opinions of the help that could be sought are. We can’t know the answer to this from this review. Finally, it would be useful to assess the stigmatising attitudes present in the leadership of the military. These findings demonstrated that a large part of anticipated stigma was concern about their leaders finding out. But is this concern valid? If stigmatising attitudes against people with mental health problems exist in military leadership, then concern about seeking help might be a natural reaction. This would have been detected as anticipated stigma, but may represent a factual observation. However, if this were the case, then we might have expected it to emerge as an association between anticipated stigma and help-seeking, which by and large wasn’t found by this review. Do military leaders stigmatise mental illness? This review was inconclusive. What do you think? This review of relevant literature found that while anticipated stigma was relatively common in military personnel with mental health problems, this had little to no impact on their intention to seek help for their mental health problems or their use of mental health services. 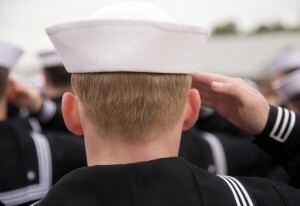 The gap between the presence of stigma and actions or intended actions of this military population could potentially be explained by support from family and friends in overcoming stigma barriers to seek help. So if nothing else, this study highlights the importance of supportive relationships. Ultimately there were a few issues that were ignored here, that weren’t the fault of the review, rather the limitations were a result of the literature available. We do know however that stigma against people with mental health can and does cause real harm, even if in this specific case, one specific type of stigma didn’t stop people saying they would ask for help if they needed it. Prevalent negative attitudes against people with mental health problems need to change so that people don’t feel they need to “soldier” on in silence to avoid prejudice. Even if they are soldiers. Or in the airforce. Or the navy. And so on. This study highlights the importance of supportive relationships for people going through mental health problems. Sharp ML, Fear NT, Rona RJ, Wessely S, Greenberg N, Jones N, Goodwin L. (2015) Stigma as a barrier to seeking health care among military personnel with mental health problems (PDF). Epidemiol Rev. 2015;37:144-62. doi: 10.1093/epirev/mxu012. 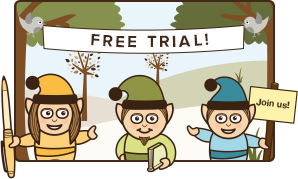 Epub 2015 Jan 16. Quinn DM, et al. Examining Effects of Anticipated Stigma, Centrality, Salience, Internalization, and Outness on Psychological Distress for People with Concealable Stigmatized Identities. PLoS ONE 2014; DOI: 10.1371/journal.pone.0096977. Forbes HJ, et al. Attitudes to mental illness in the U.K. military: a comparison with the general population. Mil Med 2013;178(9):957–965 [PubMed]. Morning @WesselyS We’ve blogged about your #stigma in the #military review @hullodave http://t.co/ef8P5736H3 Any thoughts? Thank you for your blog on our paper. I wanted to stipulate that whilst the majority of studies found no association of stigma and help-seeking – it does not therefore mean that stigma is not important. 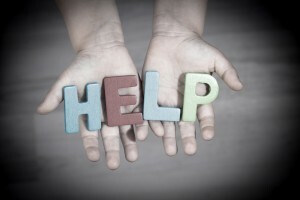 As you mention – the intention gap may be important – that those who noted their anticipated stigma still sought help – however many of the studies give evidence that military personnel seek help when the severity of their problem increases and sometimes they will only seek help at points of crisis. Therefore the barriers to seeking help, such as stigma may be part of the problem that has kept them from seeking help until they are extremely ill. Hence this study is not saying that stigma is not important – which I wanted to emphasise as the headline of the blog may make people think otherwise! Interesting review, as a Uniformed Military Psychologist/Army Officer of 22 years working with soldiers post deployment, I would have to agree. Stigma does not seem to be such a barrier as it once was. I think because in Military Psychology we have changed how we react to mental health issues in service. In the early days I think we reinforced the Stigma and it probably accounted for 50% of the variance in help seeking behaviour, whereas now it is probably sub 20% (a very solid set of stats based on n=1 experimental design. That said we can still do more to encourage veterans to seek help earlier; before, during and after deployment.